Bosch recently conducted a survey which revealed that midsize cars in Germany are more likely to have parking assistance systems than premium cars in Germany. This was the finding of an analysis that Bosch conducted of the 2017 statistics cars that were newly registered in 2017. The company found that while 55 percent of the cars that belonged to the compact and midsize category had at least one parking assistance system as a standard feature, only about 25 percent of the premium vehicles came with a parking system. When it came to the overall figure for vehicles belonging to all the categories, 45 percent of newly registered cars across all vehicle classes in Germany had at least one parking assistance system fitted as a standard option. The analysis revealed that parking assistance systems are one of the most desired features that customers are looking for when they purchase a vehicle in Germany. This is followed by automatic emergency braking systems which help to either mitigate the effects of a rear-end collision or to avoid it altogether. 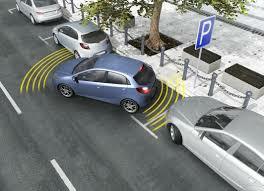 The European Union is in the process of developing legislation to make the emergency braking systems mandatory. This legislation is likely to be implemented from 2022. The World Forum for Harmonization of Vehicle Regulations (WP.29), which is part of the UNECE, has drawn up a regulation that would facilitate this. The forum recommends that in future, only passenger cars having an emergency braking system should be sold in the EU and other countries. The UN Economic Commission for Europe estimates that emergency braking assistants could help save as many as 1,000 lives a year in the EU. Of all the new cars that were registered in Germany in 2017, 54 percent had an emergency braking system as a standard feature, a significant increase from only 38 percent in 2016. The analysis of the statistics on newly registered cars from 2017 that Bosch conducted also revealed that, in addition to parking and braking assistance systems, two other features are also becoming highly popular: drowsiness detection and lane-keeping functions. About half of the cars that are available can sound an alert upon detecting drowsiness in the driver while over one-third of the cars sold in 2017 had at least one lane-keeping system. Other features that were of interest to car buyers included adaptive cruise control (a little less than 25 percent of the cars had them) and 9 percent of the newly registered vehicles in the country had a partly automated traffic jam assist system. Using this feature, even in a traffic jam, drivers can relax to some extent by instructing the car to automatically follow the vehicle in front. The system takes over control of starting and accelerating, and brakes and steers within its lane.